We’ve been fortunate enough to spend a good deal of time on the water over the course of our lives, but not nearly as much as many of our friends who grew up on the coast. There is definitely something to be said about the “Salt Life”, and we do our best to slide into that lifestyle whenever we are able to make a break for the beach for a few days. 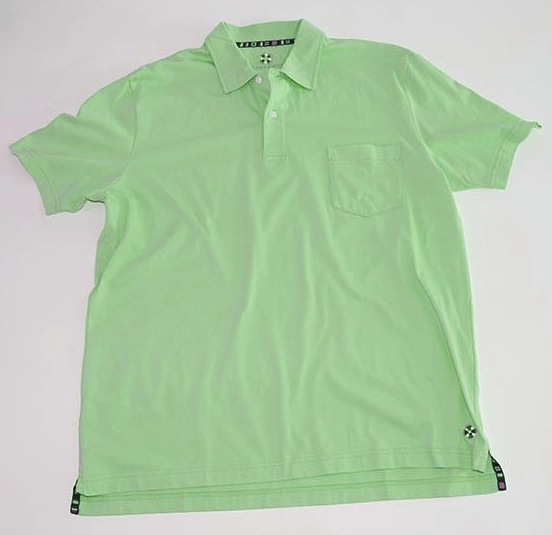 We don’t get to spend as much time there as we would like, so in the meantime we’re just going to pull on a Salt Spray Polo ($69) from Castaway Clothing, and daydream about our next visit. Maybe it’s just because we have been paying closer attention, or maybe it’s because their are more great options than ever before, but it seems like everywhere we turn there is another pair of fantastic casual shoes that we “need” for our rotation. 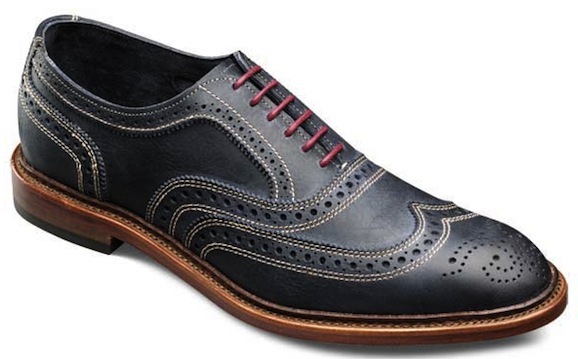 Not too long ago, we only perused the Allen Edmonds catalog when we needed something that shaded towards the dressier side of the shoe spectrum, but lately that thought process has gone completely out the window. Case in point is their just released Neumok ($250). A button down Oxford is one of those shirts that will literally never be out of style. 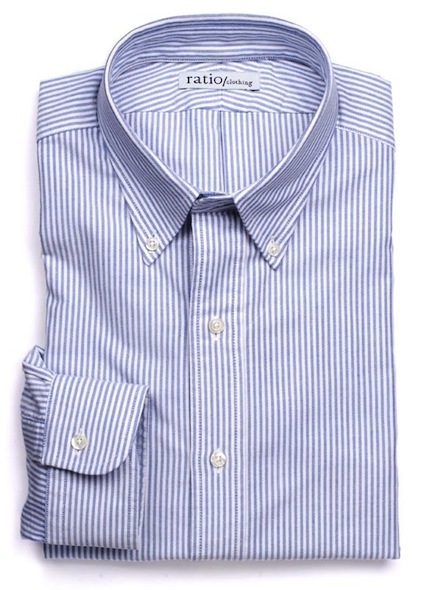 Pressed and squared away, or just washed and worn, these wardrobe staples should be ready to go at all times. From solids to stripes, we have quite a few Oxfords in our collection, but the best fitting one may have just arrived. A couple of weeks ago, Eric from Ratio Clothing asked if we would be interested in going through their custom shirting process and checking out their Campus Oxford ($89), we were happy to do it. There is something great about a Saturday spent in your favorite old jeans and a comfortable t-shirt. Whether you’re spending the day laying low, or knocking out a to do list that has grown far longer than you would like, these classics are the perfect choice. Unfortunately, some of our classic tees have gotten to the point that we can’t even wear them anymore so we are always on the lookout for suitable replacements. 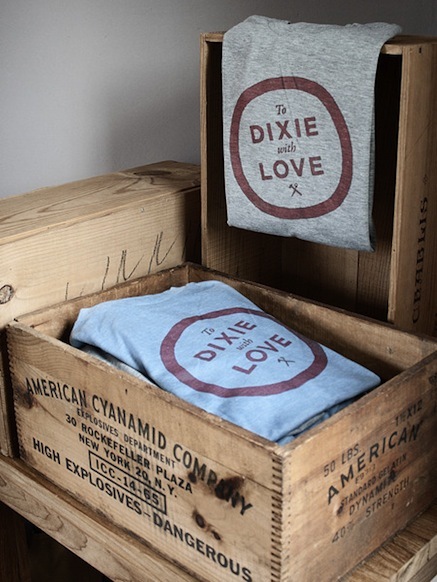 One of those replacements arrived just this week, it’s a To Dixie With Love T-Shirt ($21) by Old Try. Palm Beach Patchwork Beau giveaway courtesy of Starboard Clothing Co.
With the thermometer slated to flirt with the 70’s today, it certainly feels like Spring has sprung here in Annapolis. Unfortunately, we have a bad feeling that Mother Nature is going to snap us back to reality in the coming weeks with some cold, but for the time being we’re going to enjoy the warmth and pretend that winter is done for the year. 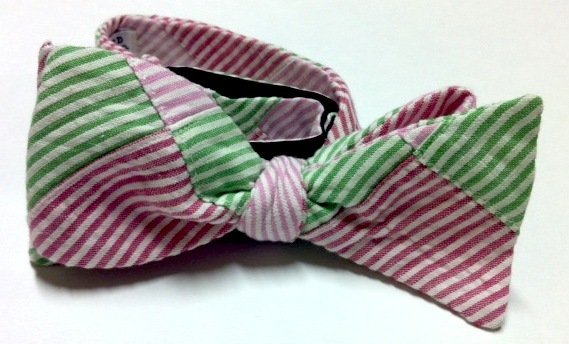 In fact, we’re enjoying this weather so much that we’re going to give y’all a sneak peak and a chance to win a never before seen bowtie from Starboard Clothing Co.*, the Palm Beach Patchwork Beau ($45). As much as we love the items that make a big splash in a wardrobe, we like the small pieces that pull a look together even more. From interesting watch straps, to a flashy pair of shoes, to a belt with just the right buckle, it’s truly the little items that will make or break you. 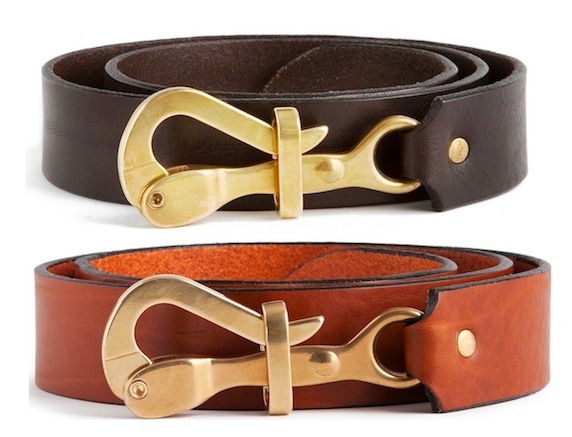 Recently, we’ve been trying to upgrade our belt collections, and the Pelican Hook Belts ($85) from Sir Jack’s are top contenders for the next addition. As proud alums, we are always on the hunt for great looking pieces that show our allegiance to our respective Alma Maters. We aren’t the types that will wear fan gear multiple times a week, so finding subtle ways to show the love is always a priority. From pocket squares and repp stripe bowties in our school colors, to items named after campus landmarks, our collections run the gamut. 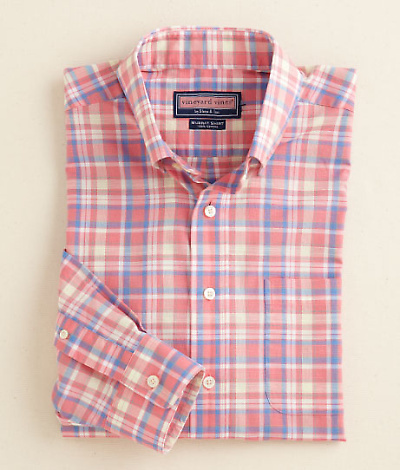 Needless to say, as soon as Ben heard Vineyard Vines had released a shirt with a print called Flagler Plaid ($98.50) he knew he had to have it. We aren’t huge hunters. In fact, our quail hunting trip last season with Commonwealth Birding was the first time either of us had fired a weapon in a few years. That doesn’t mean we can’t appreciate styles that have evolved from the needs of outdoorsmen of days gone by and we are glad a number of companies are getting back to their roots as outfitters and releasing some pieces that would make their founders proud. 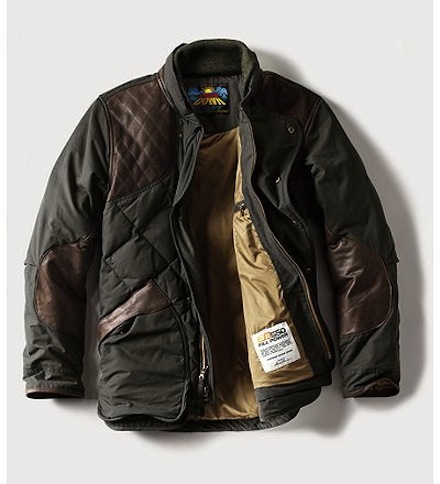 Eddie Bauer is one of those companies that is returning to their roots and we are really liking their 1936 Skyliner Model Hunting Down Jacket ($299). 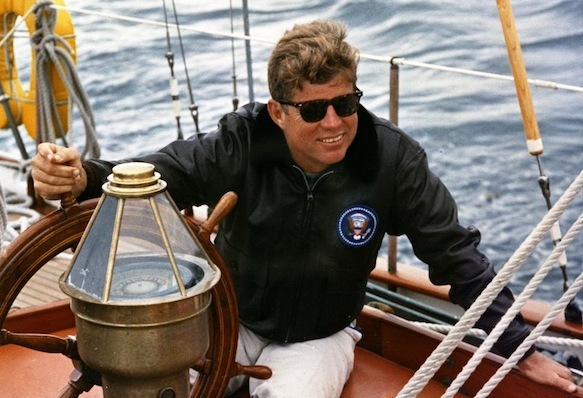 We only thought it was fitting that we use President’s Day to showcase something that was frequently worn by the president who many would argue to be the most preppy, John F. Kennedy. With a relaxed style that featured many of the same pieces we base our wardrobes from today (khakis, boatshoes, lightweight sweaters, etc. ), Kennedy was definitely the epitome of the East Coast Prep style that we celebrate. One piece of his wardrobe that appeared in both casual and formal ensembles was a trusty pair of Original Wayfarers by Ray-Ban (prices vary). From stories passed down from our grandparents, to those told through endless pages of textbooks, we have always had a keen interest in history. If you are the same way, or just a huge L.L. Bean fan, today’s Saturday Reading suggestion is right up your alley. 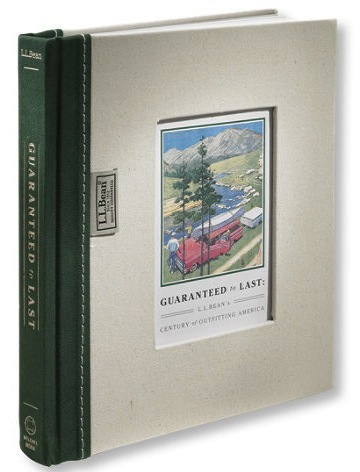 Honestly, we think Guaranteed to Last: L.L. Bean’s Century of Outfitting America by Jim Gorman is a must read for anyone who has ever laced up a pair of Bean Boots.